Sergeant Leandro Jasso died on Saturday, November 24, 2018 in Helmand province, Afghanistan. He was killed as a result of wounds sustained from small arms fire while engaging enemy forces. Jasso, age 25, was from Leavenworth, Washington. He was assigned to Company A, 2nd Battalion, 75th Ranger Regiment based at Joint Base Lewis-McChord, Washington. He was engaged in combat operations in Khash Rod district, Nimroz province. Upon being wounded he was immediately treated and medically evacuated to a medical treatment facility in Garmsir district, Helmand province, where he died of his wounds. SGT Jasso enlisted in the U.S. Army in August 2012. He completed Basic Combat Training, One Station Unit Training as an infantryman and Basic Airborne Course at Fort Benning, Georgia. Following initial training he was assigned to 2nd Ranger Battalion, where he served as an Assistant Machine Gunner, Automatic Rifleman and Grenadier. SGT Jasso deployed twice before in support of Operation Enduring Freedom in Afghanistan. At the time of his death SGT Jasso was serving as a team leader on his third deployment to Afghanistan. Jasso was an Eagle Scout who also played on school soccer, wrestling, and football teams. He came from the small town of Leavenworth in central Washington. “Sgt. Leandro A.S. Jasso was ‘charismatic,’ ‘wonderful kid,’, friends, mentors recall”, Stars and Stripes, November 26, 2018. “DOD Identifies Army Casualty”, DoD, November 25, 2018. “U.S. 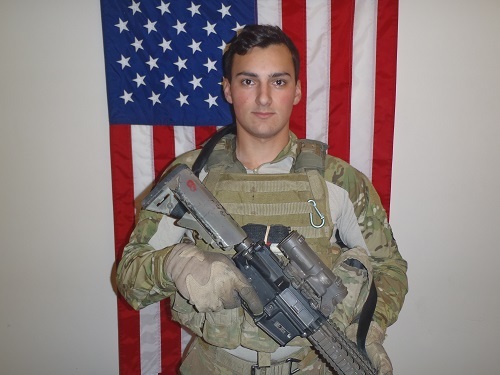 Service Member Killed in Afghanistan”, Resolute Support Mission, November 24, 2018.